If you are stuck for some ideas of what to do with the kids or just yourself this Easter – have a look at some ideas below to while away the long weekend and remember the Easter Rising centenary. 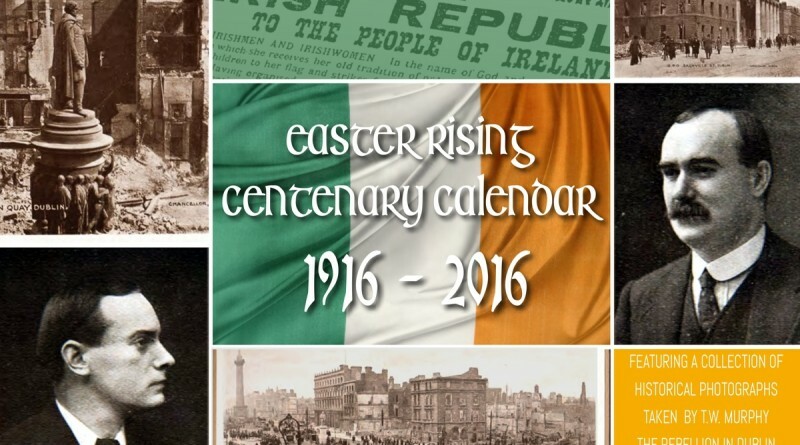 The Easter Rising events this weekend are set to become the largest public event in the history of the state so really, you don’t want to miss out on what’s going on if you can help it. Hundreds of thousands are expected to line the capital’s streets for the Easter Sunday parade which will include 3,722 members of the Defence Forces. One really important matter to be aware of during the festivities though, is that there will be no Luas on Easter Sunday or Monday. More disruptions are also expected the following weekend, after workers voted for industrial action. At 4.5km in length, the Easter parade will be 2km longer than the St Patrick’s Day parade, according to the Irish Times. It will start at St Stephen’s Green at 10am and will stop at the Royal College of Surgeons, with a colour party receiving the Citizen Army Flag and the Irish Republic Flag. The parade will include the Defence Forces, Gardai, the Irish Prison Service and the Dublin Fire Service. The major event of the weekend will be at the GPO, with a reading of the Proclamation and a wreath-laying ceremony led by President Michael D Higgins. 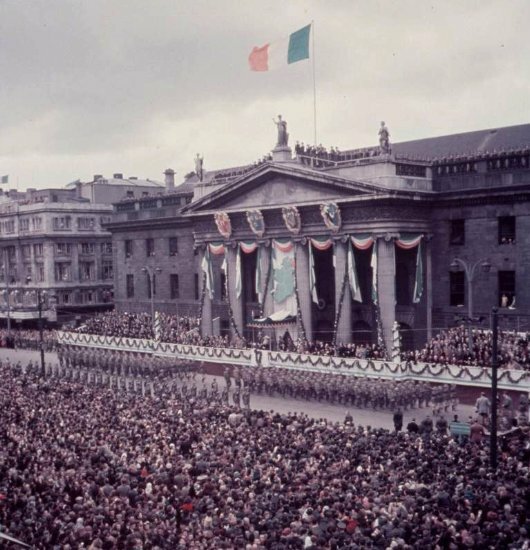 After, there will be an Air Corps flyover and around 5,000 relatives of the Easter Rising participants, will watch proceedings from the grandstands on O’Connell Street. The parade is the biggest event of the weekend and starts with a Saturday morning service in the Garden of Remembrance and ends on Monday night with the Centenary concert in the Bord Gais Energy Theatre. But bring a brolly because it is expected to be windy and rainy across the weekend. 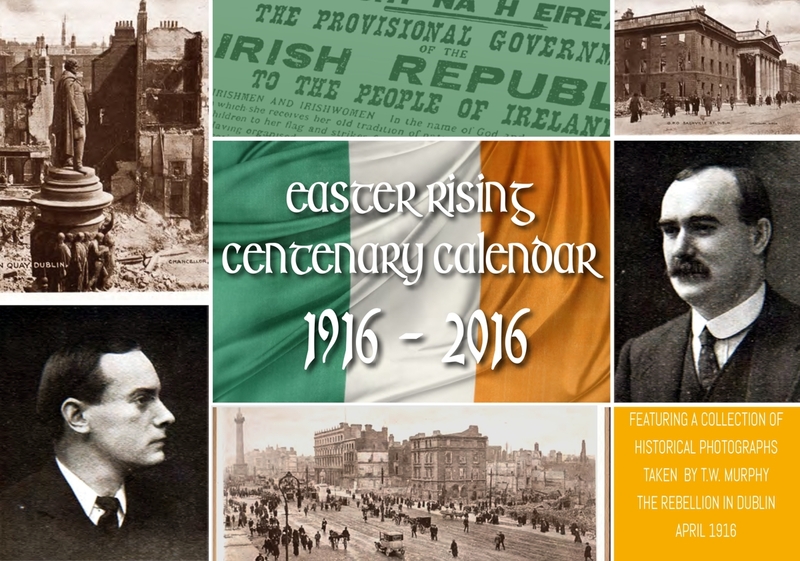 The State will host an event for 1916 relatives tomorrow night at the RDS, addressed by the President. State ceremonies on Sunday will begin at 9.30am with a wreath-laying ceremony in Glasnevin Cemetery. That will be followed by a State ceremony at the Kilmainham stone breakers yard. A wreath-laying service will take place at seven 1916 garrison locations in Dublin and also in Athenry, Cork, Ashbourne, Co Meath and Enniscorthy, Co Wexford. The ceremony will take place on the exact time the Easter Rising unfolded – at 1.15pm.